Bruce Lee would often refer to The Void as Nothingness, Emptiness, The Origin of Things, the Tao, and the Formless Form. The Void is the empty state from which all action and creation comes. For Bruce, the Void was another name for the dynamic part of the mind. The first form where ‘it simply is what it is,’ is to cultivate an acceptance of reality as it is; to engage in simplicity and everyday mind; to simply be with acceptance and without force. Do not grasp onto the different thoughts and emotions that are hitting us at any given moment, do not let them stop you. Have no ego and just take it in. Be present without judgment; be aware of your surroundings without making any choices about them. Make your choices based on an acceptance of reality instead of a story we make up or because of a set pattern. Practicing mediation is a way to engage with the void. When you’re meditating you want to untether your mind so you can just be and let go. When you are meditating, you are thinking, but you are giving up being fully controlling of your thoughts. If you want to engage the Void, you have to engage it with gentleness, you cannot force your way into the Void. The Void feels like openness and the expansiveness of the universe. The opposite of it is the feeling of grasping and your chest tightening. It is a state of pliable awareness, choiceless awareness. This helps shift our perception of something because we are open to all that is possible. If we can drop a need for things to be right or wrong, and just take life as it comes and respond to it in that way, then we will have less problems. It is never the thing that is good or bad, it is our reaction to it. If we can shift our perception to see something as it is, then we can decide how we wish to respond. By emptying our minds, we can start at a point where anything is possible. Practice imagining being openhearted and excited; imagine that feeling in your body. This will help clear away the detritus. The First Form is about our relationship with the Void and the Second Form is being the Void. When you are in the practice of the Void, you have infinite mobility because you are present and engaged in the process of allowing infinite direction. This type of practice is a life-long pursuit. To practice this, gravitate towards the words, practices, music, and movements, which give you the recognized feeling of this expansive space. Meditation is a good way to get into the feeling of the Void. Once we develop a relationship with the Void and start to embody the Void, then that mediation has to transform into total sensory awareness and not disciplined stillness. This is a practice of finding your path, knowing yourself, and freeing yourself. We'd love to hear from you! 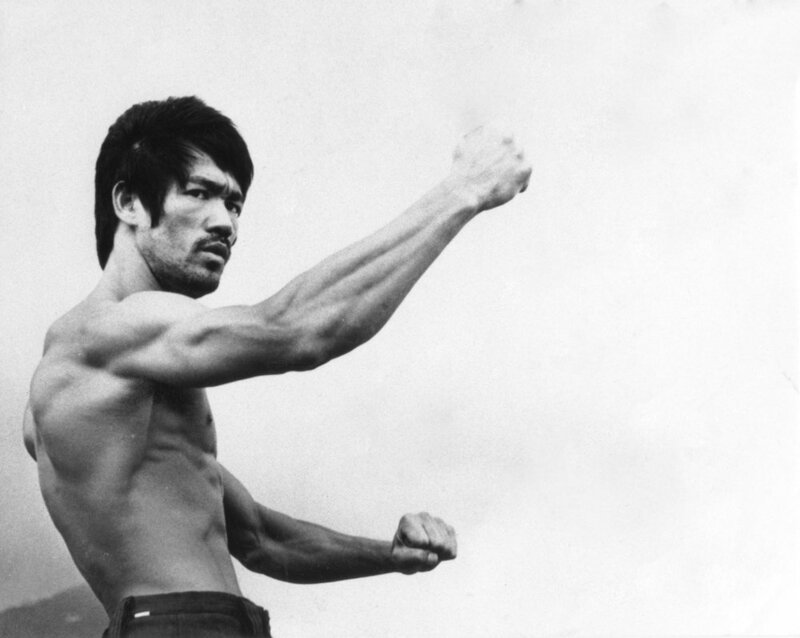 Email us at hello@brucelee.com or tag us @brucelee on social media with #bruceleepodcast.